Scognamiglio Clá Dias, the founder and now ex-leader of the Heralds of the Gospel, can be seen in the video saying that the devil had told the Heralds priest that Francis was “my man”. 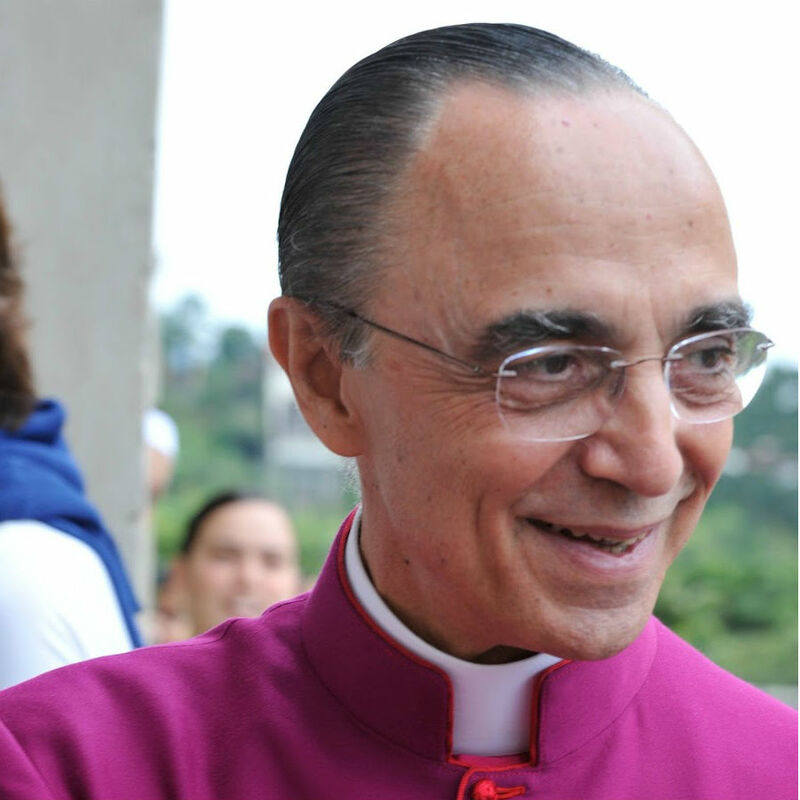 Satan said Francis is “stupid” and does “everything I want”, Clá Dias says. The video, first reported by respected Vatican journalist Andrea Tornielli, shows around 60 priests listening to Mgr Clá Dias relaying what the priest said to him. The things had been said - the priest believed by the devil - when the priest was carrying out an exorcism. It was in the days following Mgr Clá Dias’ resignation that the video emerged. The devil is said to be seeking to “kill the man that God is calling” who, according to what is said in the video, is Cardinal Franc Rodé, the 82-year-old former leader of the congregation for religious. Cardinal Rodé has been a public critic of Francis. Corrêa, whose secretary for 40 years was Clá Dias, was known in Brazil for his staunch and trenchant criticism of liberation theology, setting up Tradition, Family and Property (TFP), in 1960, to act as a bulwark against the influence of progressive politics and thought. Earlier this year Francis told a meeting of Religious superiors he is worried by “restorationist” orders that “offer security but instead give only rigidity”. Under Benedict XVI, however, the Heralds were more in favour with Rome. In a book-length interview with Peter Seewald Benedict XVI praised the Heralds — the only religious movement he mentioned by name in the book — lauding them for being “full of enthusiasm for having recognised Christ the Son of God” and being key “in assisting with a great Catholic rebirth” in Brazil. In Brazil, the Heralds are known for going into the country’s favelas after the Protestant evangelicals in an effort to reconvert those who chose to abandon Catholicism. One of the main activities of the Heralds is to provide assistance to parish priests in areas where the number of faithful is witnessing a reduction. A division of the groups, called the “Knights of Mary,” can be called on to help strengthen the local Church’s presence in a way reminiscent of the practice of other movements, such as the Neocatechumenal Way. They also run a programme that helps finance on-the-ground projects called the “Mercy Fund”. This fund is a part of a wider effort on behalf of the Heralds to have some kind of social presence within the Church by helping the poor, the homeless and youths — one of the group’s strongest demographics.